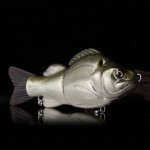 This three sectional swimbait has an ideal weight and size to it for comfortable casting and Trolling for monster Pike and Muskie. 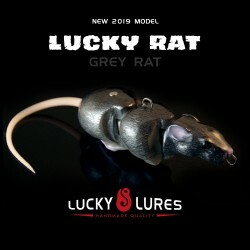 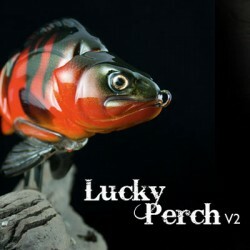 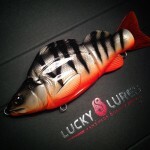 The design is based upon the original wooden Lucky perch swimbait that has been responsible for many big pike caught in the last two years. 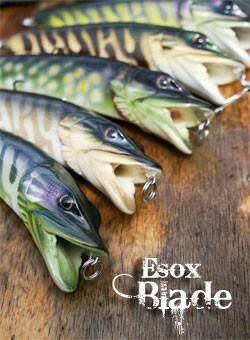 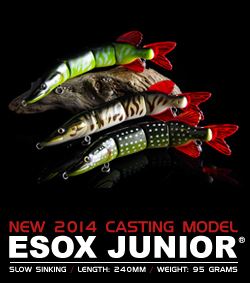 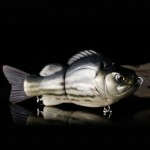 Designed as a medium/fast sinker and without a diving lip it has little resistance while swimming. 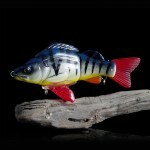 Feauturing tight swimming action -true to a real fish swimming motion- and a very stable action. 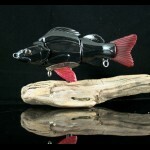 The balance system in this swimbait is designed to make it super stable and impossible to stall. 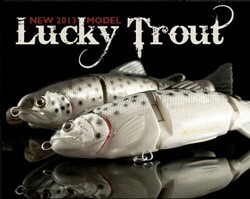 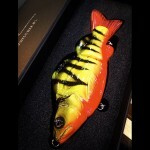 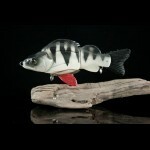 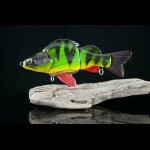 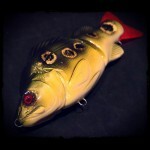 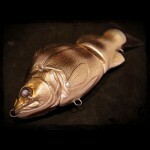 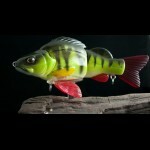 The wig-shaped head will keep this lure at depth while swimming due to the water pressure. 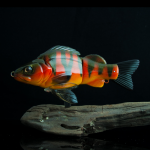 The joint design will make the underwater action visible at your rod tip and even the smallest piece of weed or dirt on your hooks can be noticed. 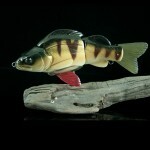 New 2015 Color This three sectional swimbait has an ideal weight and size to it for comfortab..
New 2012 Model This three sectional swimbait has an ideal weight and size to it for comfortab..